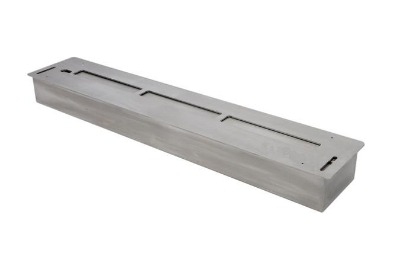 This is a stunning 800mm stainless steel line of fire burner with patented ceramic core technology..
Total Burn time: Around 3hrs- 4hrs from lighting. 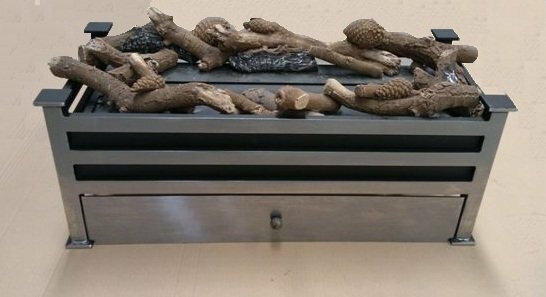 This is a 800mm long bioethanol stainless steel burner based upon a unique ceramic core technology. It has a total flame length of 635mm which spreads along the three sections. When lit the effect is one continuous flame. 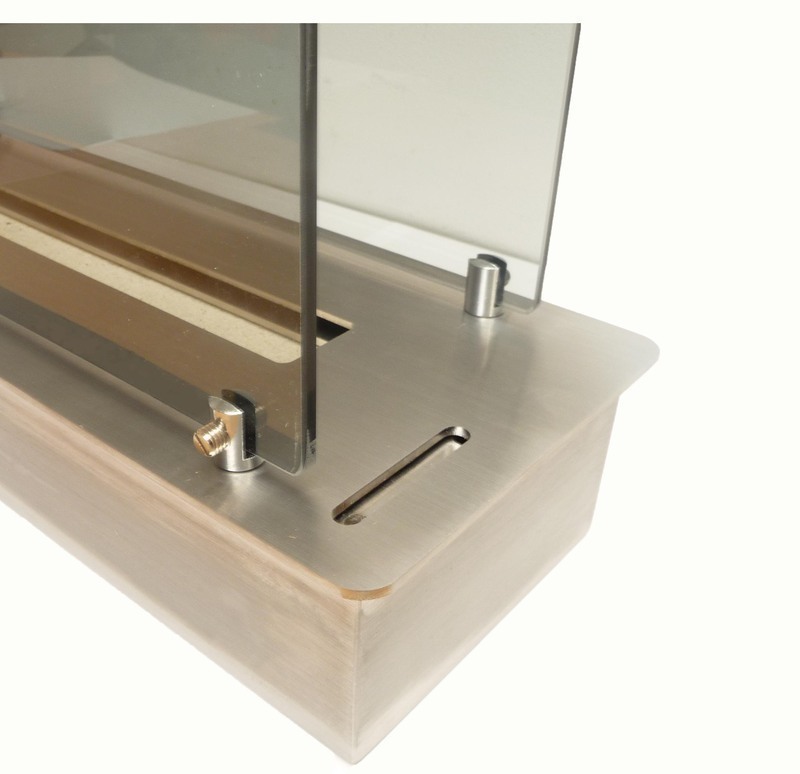 Supplied with the burner are two glass panels which must be installed when fitting the fire. 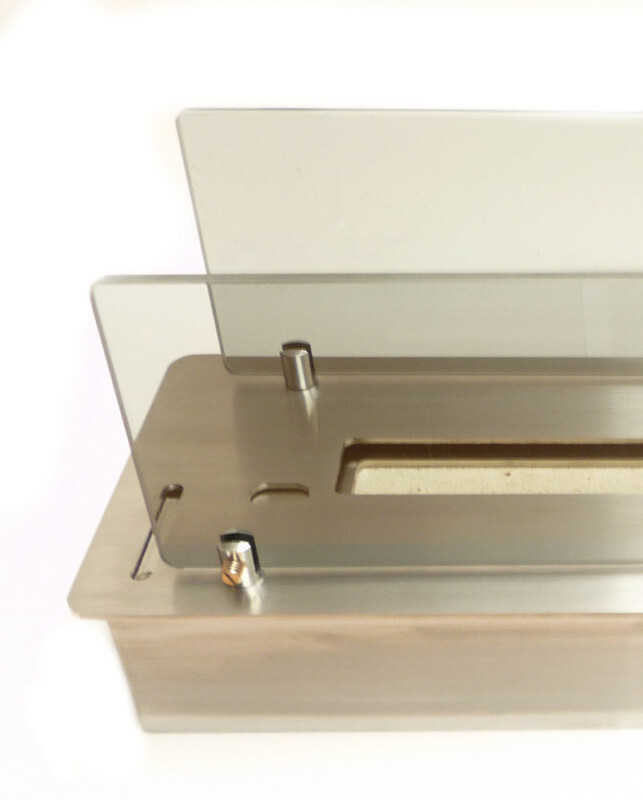 The images above show the glass installed using the steel holders supplied screwed into the top plate of the burner. Because of the ceramic core technology, the burner is very easy to light, has yellow flames very quickly (unlike open trough burners) giving an efficient clean burning flame. 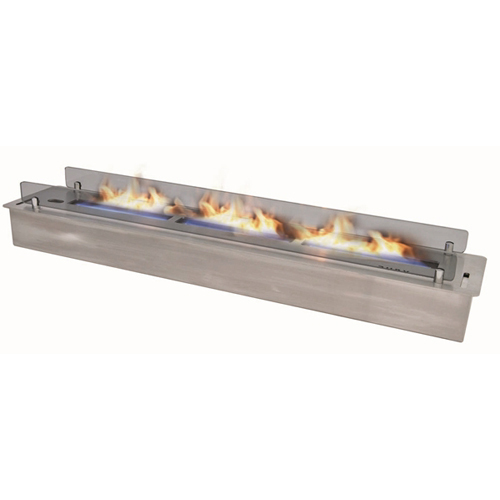 The burner offers great flexibility and can be incorporated within a firebox, fireproof wall, or existing fireplace. This fire provides a stunning focal point to any living space.